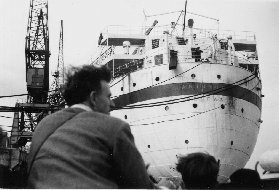 In January 1949 the Forbes family from Mansfield, England, departed Southampton for Australia on the SS Asturias. During their 37 day voyage the family were often seasick and their son Ian (22 months old) was unwell for most of the time. 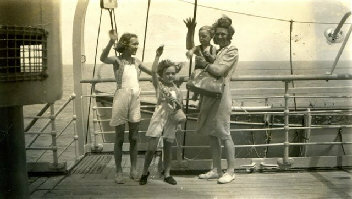 William, Winifred Grace, and their children, Jean, Wendy and Ian, arrived in Sydney on March 5th 1949, to begin their new life. William Forbes kept a diary during the family's voyage to Australia. From cheerful entries "lovely boat, lovely food" to less happy entries "heavy seas, stormy passage - all feeling crocky", the diary gives a wonderful insight into life at sea for 5 weeks. William and Grace settled in Mt Pritchard where they built their first home themselves. William gained employment as a storeman, working with QANTAS Airways and De Havilland, and later as a railway porter for NSW Rail, then later still - until retirement - as a storeman at Thiess Constructions. 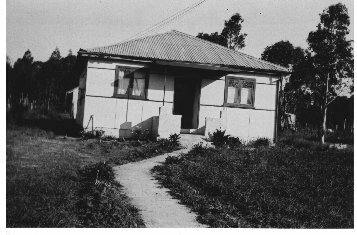 Grace found employment as a district nurse at Mt Pritchard and later as a nurse at Sydney Hospital. Their son Ian, who is now retired, eventually joined the RAAF and became a Warrant Officer. He is married with 3 children; his two sisters (one a nursing sister, the other an office manager) have seven children between them. William and Grace have both passed away but their extended family now consists of ten grandchildren and eleven great-grandchildren.